You are currently browsing the tag archive for the ‘community supported agriculture’ tag. NWEI recently learned that Menu for the Future, one of our sustainable food discussion courses, inspired Pat Wilborn and Amy Otis-Wilborn to initiate the Port Washington, Wisconsin Aquaponics Model through their organization, Portfish. Portfish’s vision is to create a working model of an aquaponics system based on best practices that can be replicated to promote and engage communities in local sustainable food production. They are actively working to raise awareness of issues and concerns regarding our current and future food supply and to educate local communities about sustainable and healthy alternatives to food production and supply. They’ve also started a Winter Farmer’s Market and have compiled a local foods database for their community. Pat and I initiated the Port Washington Aquaponics Model in March of 2009. Our interest in local sustainable food production, however, developed over time – and, only in the last few years has it taken on a more urgent tone. Pat and I come from very different food “histories.” His includes a very large family garden, necessary to feed a family with 8 children. His mother stretched and used everything in creative ways. This included okra, not one of Pat’s favorite vegetables to this day. And, he can only eat spinach in certain ways. Pat’s memories include being assigned a row in the garden to take care of. Punishment also included going to the garden to weed. Canning was an annual event to supplement winter menus. My history is like many my age – we were a city family growing up in the 50’s. My food memories include meals from cans and boxes. Cream of mushroom soup had a million uses and a treat was a TV dinner. 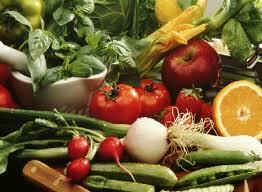 In 2006, we were introduced to Community Supported Agriculture (CSA). We signed on to receive fresh vegetables from Wellspring Farm in Newburg, WI. I couldn’t name most of the vegetables we received in the first year. I also had no sense of the growing season. We continue to buy shares from Wellspring and have learned how to cook “root” vegetables and anticipate the lettuces we receive early in the season and the black radishes, celeriac, and squash that come later. Pat took this question very seriously. His first idea was to develop a local food council. We had read about food councils and ways in which a council could help to focus communities on local food, sustainable production practices, and to serve as a catalyst to creating local food options. Growing Power’s founder and director, Will Allen, attributed his growing success to worms. He has perfected growing worms as an organic medium for growing plants. He also has developed quite a composting system that heats hoop houses, sustaining a growing season through the winter. But, the project that most intrigued Pat was raising fish. Growing Power raises tilapia using an aquaponics system. Aquaponics is a system that cultivates plants and fish in a recirculating system. 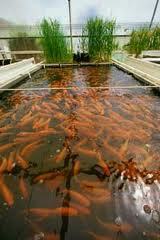 It is a combination of aquaculture and hydroponics. What is the advantages of such a system to food production? It’s local, it is safe, and it is sustainable. A closed system continuously moves water from the fish to the plants. The plants take up the nutrients provided by the fish waste and send clean(er) water back to the fish environment – the cycle continues. The system relies on a natural relationship that maintains an environment that supports the fish and the plants. Increase in obesity, illnesses, and diseases that can be attributed to poor diets and limited access to healthy food alternatives. Thanks so much Pat and Amy for your work!